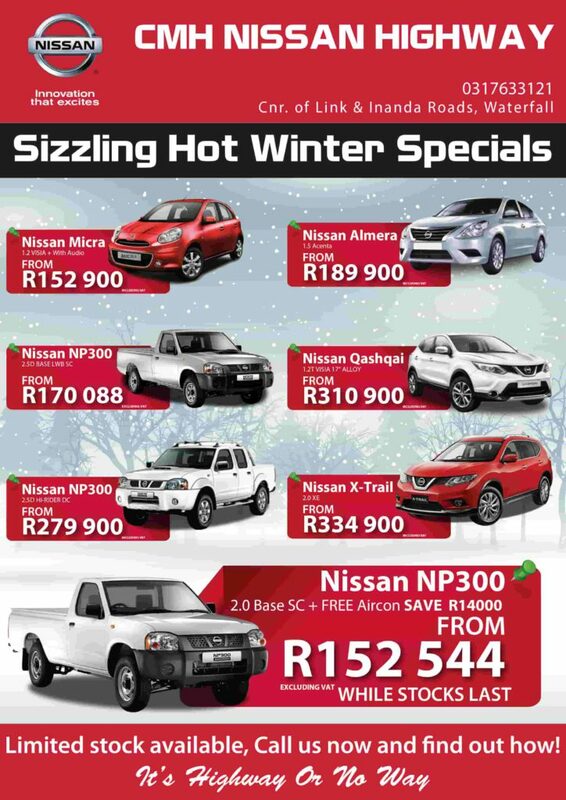 SAVE with Nissan Highway winter specials. We have only the best specials to keep you saving. Visit us today or call us to speak to our friendly staff about our speacials, book a test drive today.